These folding note cards say a lot with just a simple phrase. Each card is individually pressed on French Paper company's Speckletone kraft paper, using an Adana platen press. Type is hand set and pressed in Futura and Clarendon typefaces. Blank on the inside for plenty of room for your personal note. Each card comes with a handsome, matching kraft paper envelope. Now how much would you pay? ➽ If you would like to add a personal touch, such as a monogram or name, to either the card or the envelope, please message me on Etsy for pricing and details. 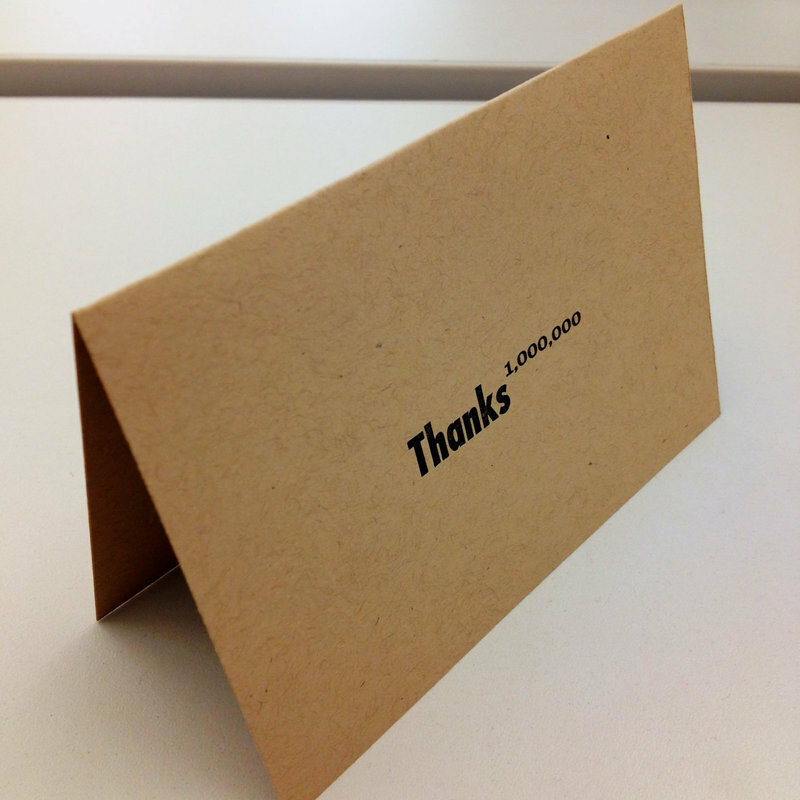 ➽ A simple way to say "thanks a million" — although a 'Thanks' to the millionth power would be more than a googol. But, you get the idea. Printed on A2 size notecards (5½ inches x 4¼ inches). 118lb, 100% cotton paper with matching envelope. 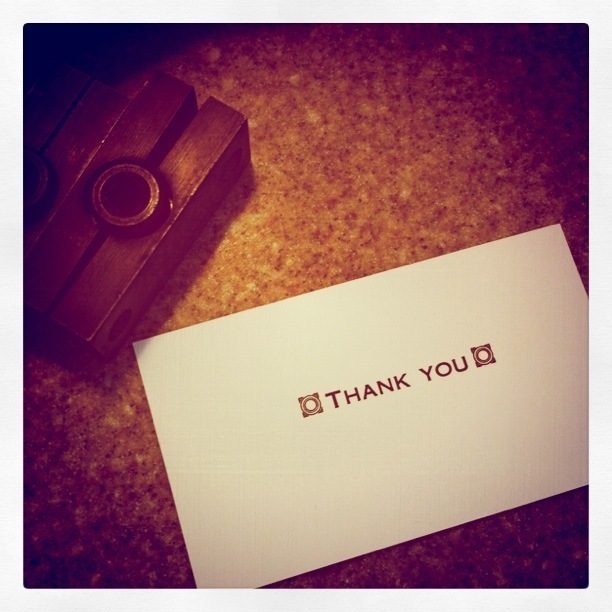 Send this one to a friend and be 100% effective in expressing your gratitude. Futura lettering with a Clarendon font number scheme. Available in a variety of ink colors.